Benjamins are delighted to offer this fantastic opportunity to purchase this fully furnished, two bedroom luxury apartment, located in a superb city centre development. The accommodation Property offers two double bedrooms, master bedroom with en-suite, open-plan lounge/kitchen with integrated appliances, adjoining balcony and family bathroom. The property has great location in a superb city centre development, close to shops, cinema, theatre, bars and restaurants. To fully appreciate this property must be viewed. Having ceiling telephone and television points, space for dining furniture, electric storage heater, Kitchen area, upvc double glazed windows, and door leading onto the balcony . 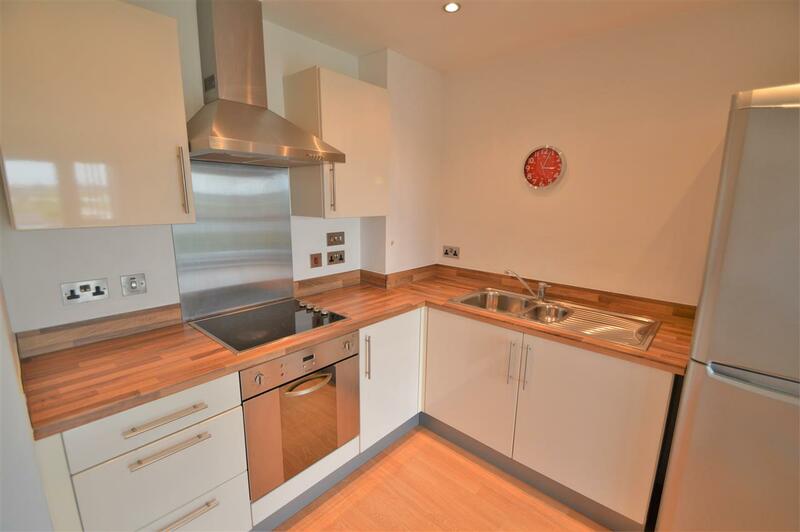 Fitted with a range of wall, base and drawer units with oak work surfaces, inset stainless steel sink and drainer unit, integrated electric hob and oven, tall fridge freezer, integrated washing machine. Fitted three piece suite comprising of panel bath, low flush wc, pedestal hand wash basin. Master bedroom with television point, electric storage heater and upvc double glazed window to the front and door to en-suite shower room. The second bedroom electric storage heater and upvc double glazed window to the front. This development enjoys a secure environment with vehicular and pedestrian access, and single car parking space. 990 years remaining on lease. Service charge approx £1200 PA and ground rent £350PA.